We can all agree that building an awesome website can be a tricky and time-consuming process if you’re not using the right tools. And then, once you have completed your new site, you have to find a service to host it online so that users can enjoy the fruit of your labor and actually access it. There’s no reason to make a difficult process even harder so I have compiled a list of the best hosting options available today. NOTE: Web hosting services help provide server space that hosts your site’s files. Ideally, the right host will help keep your site online with low downtime while protecting your site from security breaches. It’s not always easy to tell which hosting service might suit you best. A solution that could work for a personal website might not be the best solution for a small business. Before you sign up for a monthly hosting service, it’s best to ask yourself what you’re looking for and what kind of features you want before you jump in. Understanding the best web hosting services out there can be surprisingly simple if you first understand what you’re looking for. I have compiled a list of the most commonly requested features users look for in a host. Shared hosting, or hosting multiple domains on the same server, is an option many web hosting providers will offer in order to drive costs down. Some hosting services make this the only option. While shared hosting is what will serve the needs of most users, you’ll want to consider whether it fits you individually. If you are a software provider, in need of bolstered security, or expect to receive high volumes of traffic, shared hosting may not be the best option for you. Virtual private server hosting, or VPS hosting, is a service that enables users to enjoy the benefits of owning their own server without the cost and space necessary to set one up locally. This has many benefits for advanced users. VPS hosting offers greater privacy, as you do not have to share your server with anyone else. It is also fully customizable, allowing you to use whatever operating system you choose. Because it is controlled by you, you can choose when to restart the system without affecting anyone else. Cloud hosting works in much the same way cloud storage does. Using the processing power of unlimited servers, cloud-based hosting allows many machines to act as one system. This makes it all but impossible for your website to ever go down because the hosting duties are dispersed, unlike shared and VPS hosting, which relies on a single server. 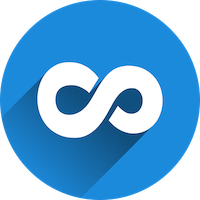 Hosting in the cloud also enables unlimited site growth. Because you are never confined to one server, adding more server space is as easy as increasing your plan limit. This guarantees high-level website performance through flexibility, a fair pricing model, and excellent resource access. Nothing damages the image of an otherwise professional website more than an email address that uses a standard email domain name. If you want people to contact you via your website, you should ensure that you’re using an email address on your own domain. If you want people to contact you via your website, you should ensure that you’re using an email address on your own domain. All of the best web hosting services should offer email. Not all hosting services are created equal in this regard, however. Some only offer one measly email address, others offer hundreds. 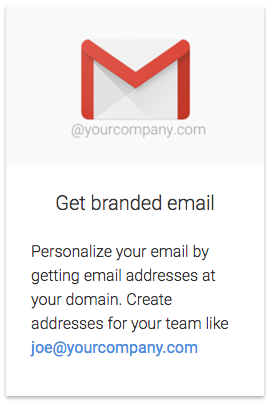 Consider whether or not having multiple email addresses is important to you. If you run a small business you will want to have separate email addresses for each facet of your company (public relations, sales, customer support, etc. ), but this may not be so important to you if you just have a personal website. Do plenty of research and compare email prices. Setting up email addresses on a web host is a straightforward process which the most popular hosts have simplified to the point of allowing you to do so simply by clicking a button and choosing your email address and password. NOTE: It is important to ensure that your host’s email service is secure. Most providers will offer secured email but you’ll always want to ask if you’re not 100% clear. Uptime refers to all of the time your website spends online. To put it even more simply, it refers to whenever your website can be visited and viewed. The opposite is downtime, or whenever a website cannot be visited (and we’ve all experienced frustration when a site we were trying to visit can’t be viewed). 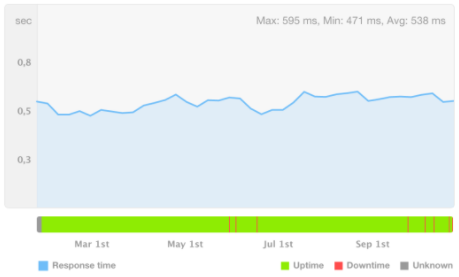 Review your potential website hosting service’s uptime ratings. Ideally, it should be 99% or more. This shows that not only is a hosting service reliable but they’re able to guard themselves against server issues and other potential downtime threats. The more uptime, the better. This should seem pretty straightforward, but your website hosting provider must offer comprehensive customer service. After all, not everyone who is looking to build a website knows everything there is to know about owning or hosting one. Customer service should be easy to reach. Ideally, you should be able to contact customer service via phone, email, or online chat, and they should have continuous availability. Watch out for providers that have limited service. Chances are likely that they won’t be particularly helpful or suited to your needs. How much your website hosting service costs is absolutely key, but it should not be the only factor you consider when finding a place to host your website. Remember, sometimes the cheapest service isn’t the best one for you. On the other hand, don’t dismiss a cheap hosting service just because it offers a very low price. It may still be a decent service. Lots of hosting services will offer special promotions throughout the year so keep an eye out. You may be able to snag up to a few months or even a year of low-cost web hosting. It’s always a smart idea to price shop. Consider what features differ from service to service. Many services will also offer various premium tiers, so you will want to consider whether premium or VIP levels of service offer features that are vital to the way you are looking to run your website. Many services will also offer various premium tiers, so you will want to consider whether premium or VIP levels of service offer features that are vital to the way you are looking to run your website. Some of the best hosting services offer website building tools. If this is important to you, you will want to consider whether the services offered by your provider fit your needs. Some, like Wix, come with drag-and-drop website tools. Other services, like HostGator, have partnered with website builder services like Weebly to allow you to build websites directly through the HostGator website. Ideally, if you are looking into website building tools, you will want to consider whether they are easy to use if they offer the sorts of features you are looking for and whether you will have to pay extra for adding extensions or add-ons to your site. For instance, Bluehost requires users to pay extra for add-ons, as might other providers out there. Keep an eye out and always be sure you understand what sort of features you can expect from using the service. If you would rather use a content management system (CMS) on your new site, or if you are simply transferring an older, pre-existing site, consider whether your website hosting provider allows you to upload or transfer a WordPress or Joomla site (of course there are other CMSs out there, but these are the two most popular and well-recognized). If so, the upload/transfer process must be simple to understand and fairly comprehensive. Hosting providers that don’t offer this service at all aren’t highly recommended. The best web hosting providers provide plenty of options for users, whether that’s by creating a site through their service or by uploading a site they’ve made with another provider. Bandwidth is a measurement of the amount of data that your website can transfer at any one time. Some web hosting services offer limited bandwidth per month. Others, like Dream Host, offer unlimited bandwidth. Why should you care about bandwidth? The more bandwidth you have, the more data you can transmit. Generally, when a hosting service offers high bandwidth, you can expect faster loading times and consistent connections. On average, most sites will only use about 10 gigabytes of bandwidth per month, but if you have exceptionally heavy traffic or lots of pages, you may need to consider plans that offer over 20 gigabytes or more. PRO TIP: You might need a large storage space and a good bandwidth for a high performing website, but in general if you’re building a small website then there’s no need to pay extra for storage space you’ll probably not use anyway. Is Unlimited Hosting Truly Unlimited? Most hosting providers tout their unlimited services: unlimited storage, unlimited email, and unlimited bandwidth. This should, ostensibly, mean that you can use their services as much as you like without the need for upgrades or price increases. This is usually never the case, however. While it is true that most users will never reach the true limits of an unlimited package, nearly every web host has an account suspension policy if your site is causing too much strain on its servers by demanding too much CPU power. While this may sound like false advertising, think about it logically. If, for example, Facebook decided that it wanted to move to an unlimited plan on HostGator, it would wreak havoc not only would HostGator’s servers, but on Facebook’s business, as the site would crash frequently and the number of user complaints would skyrocket. Of course, you are most likely not Facebook, but if your site ever grows to a significant size, you may find yourself looking for a new host — or at least a new plan. If you’re still not sure who might be a good choice to host your website, here are a few options you can consider. InMotion Hosting has been around for over fourteen years. They have an A+ rating with the Better Business Bureau and are known for their feature-rich web hosting service. Part of their popularity rests on the fact that InMotion is committed to an open source environment. This means that it plays nice with the most popular open source programs, such as WordPress, Joomla, b2evolution, and PrestaShop. Customer service at InMotion is highly regarded, with knowledgeable round-the-clock workers who help not only with website issues but with billing and any other issues as well. InMotion offers many different plans, including shared and VPS hosting. This makes them a good option for small and large sites alike. Their data centers are constantly being updated and they maintain a 99.99% network uptime. Plans start at $7.99 for the most basic package and go up to $74.99 for a topped-out VPS package. The lowest rates require an annual subscription, however. iPage was founded in 1998 and since then has hosted over online million websites. Known for their high employee satisfaction rate, iPage also offers a high level of service to its users. Their 24/7/365 support ensures that your questions will always be answered. A team of experts can help you with domain management, website design, SEO, marketing, and more. Their 30-day money back guarantee is a demonstration of their confidence in the service. iPage operates a fairly robust hosting service. While their uptime and loading rates are not the best in the industry, they offer plenty of strong security features including anti-malware email and site scans. They even offer novices the ability to simply create a website with their drag-and-drop website builder, which includes hundreds of templates and full customizability. Founded in 2003, Bluehost powers over two million websites all over the world. With a team of over 750 people and the backing of Endurance International Group, Bluehost is a popular option for those seeking stability. Bluehost touts its commitment to open source, providing “hand-in-hand” help to developers using high-level resources. The development team has optimized over 80 open source platforms, putting Bluehost in a league of its own. Like many other hosts, Bluehost offers 24/7 support both by phone and through live online chat. Their support workers are knowledgeable and quick to field questions. Additionally, their uptime record is nearly perfect. Plans on Bluehost start at $6.95 per month for a shared plan but can be as low as $3.95 per month with a three-year commitment. On the downside, Bluehost does not offer a monthly plan. 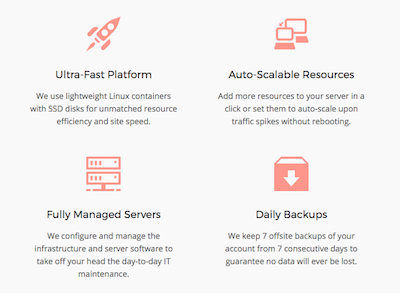 Those looking for VPS hosting will be content with their $119.99 per month ultimate package. HostGator has come a long way since it began operating in 2002. Now owned by Brent Oxley, HostGator is one of the best-known web hosts. 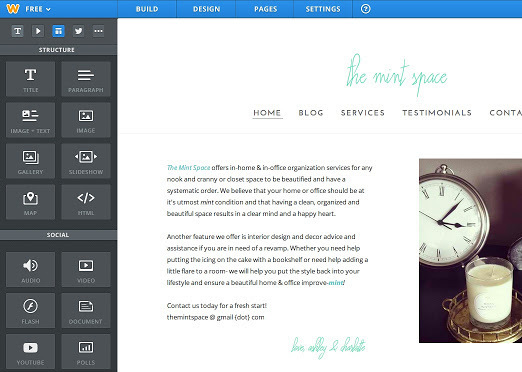 One feature that sets HostGator apart from the competition is an integrated Weebly site builder. Similar to Weebly, HostGator provides a drag-and-drop platform, allowing users to choose from pre-built sections and themes for rapid website publishing. HostGator’s support staff is split into dedicated teams, making problem-solving simpler. The Migrations Team, for example, helps users transfer their existing site content from their former host to the HostGator servers. This, along with a high-reliability rank, makes them a top choice for amateur webmasters. Plans start as low as $3.33 per month, and HostGator offers month-to-month plans, but these are not considered to be their fastest web hosting solution. They also offer VPS packages and Dedicated Server Packages that are customizable by the user. NOTE: Blue Host and Host Gator, which feature web-building partnerships with Weebly, are noted for their WordPress compatibility, ease of use, and strong uptime rates. eHost is a Texas-based company that has been in operation since 1998. Known for their low-cost and easy-to-use service, eHost has been making waves on the internet since 2015 when they completely overhauled their platform to cater to inexperienced website builders and owners. Now equipped with an effective website creator, eHost is has pivoted to become a full-featured service provider. Specializing in beginner and small-scale sites, eHost currently hosts over one million clients. What makes it so tempting to new users is their affordable pricing and their all-inclusive packages. New users receive everything they will ever need to host and manage their site, include a free domain name, free email address, free marketing tools, and unlimited domains. Although you may not think of them as a hosting company, the Tel Aviv-based Wix has their own servers on which they host customer websites. Not only are these servers extremely reliable, they are no more expensive than the average host that offers fewer perks than Wix. Featuring a powerful web building tool, including AI site development, Wix sites are easy to use and offer a variety of plans to suit everything from blogs to shops. Their services are made to appeal to beginners, but could just as easily been seen as valuable by individuals who possess an even greater knowledge of programming and coding. Often referred to as the gold standard of website builders, Wix can be a valuable tool for novices and experts alike. Anyone who has ever watched TV before is probably familiar with GoDaddy and their risque commercials. If you never knew until now, GoDaddy is a massive web hosting service that has over 13 million customers and 60 million domains. GoDaddy is known for their inexpensive plans, including one that costs only $1 per month during your first year and includes 150 GB bandwidth, 1 GB disk space, and unlimited pages. This is enough for nearly anyone looking to make their mark online or transfer their pre-existing website. They even feature a website builder and other premium features that come free with a web hosting package. DreamHost, founded in 1996, has won several awards of excellence for their outstanding service and user-friendly policies. Noted for their unlimited bandwidth and easy-to-use site upload tools, the company has nearly half a million users and hosts nearly two million websites. Their 97-day money back guarantee is unrivaled, and the fact that they are independently owned might please some users who prefer to avoid hosting conglomerates like Endurance International Group. DreamHost offers a suite of web hosting products good for novice and experienced webmasters alike. These include shared, VPS, and dedicated hosting options. Their website builder, Remixer, is actually quite good, but users looking for a managed WordPress host will be happy to know that the company is also optimized for the popular content management system. 1&1 offers high-end products to small and medium-sized websites. With a focus on scalability, the service ensures that its customers can grow and expand as needed. Claiming servers in ten different countries worldwide, 1&1 has positioned themselves as an international force to be reckoned with. Standard features include 24/7 customer service, unlimited everything, site security, SSL certification, and a useful app center. Some of the high-performance features include HTTP/2, PHP 7.1, 768 MB PHP memory limit, and Gzip. If these don’t mean much to you, just know that they are features that will keep the hosting company competitive for years to come.